Permanent, Loving Homes for these Homeless Pets. simply complete our online adoption form. see our available dogs looking a home. complete our online rehome form. We are a privately operated service dedicated to the well being and long term care of German Shepherd dogs in New Zealand. The German Shepherd Rescue Trust is proudly sponsored by Hill’s Pet Nutrition. The German Shepherd Rescue Trust is a volunteer organisation providing complete care for unwanted, abandoned, neglected and stray German Shepherd dogs and puppies while actively seeking permanent, loving homes for these homeless pets. 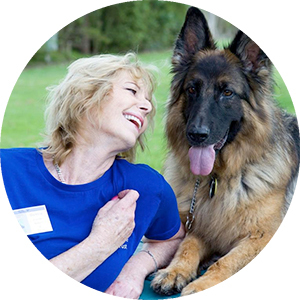 Once a dog arrives at The German Shepherd Rescue Trust, volunteers get to know each dog individually and evaluate the dog’s personality, which enables the Rescue to match each GSD with the best possible home and environment. 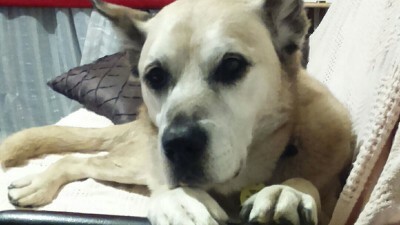 Any health problems are also addressed while the German Shepherd is in foster care. Denise Sharp in memory of her first German Shepherd – Yani, established the German Shepherd Rescue Trust, which is now devoted to helping as many unfortunate GSD’s as possible. Yani’s Story and Yani’s Rainbow is a tribute to the dedication and love that can be shared between a person and a courageous and loyal German Shepherd. The Rescue Trust is based in Auckland however there are many Lucky Dogs currently living in wonderful, permanent homes throughout the North and South Island. Homes Needed – we have German Shepherds ranging in age from puppies to senior dogs waiting for the ideal permanent home so if you are seeking a beautiful large breed dog as a companion simply complete our online dog Adoption Application form and we will contact you. Check out our Faces of Rescue for some great photos and rescue stories. We are always looking for caring foster homes that are able to sometimes take dogs on short notice. Foster duration time can vary between just a couple of days, through to a couple of weeks. On the odd occasion it has been necessary to have a dog in foster care for a few months. Reasons for extended time in foster care vary, it could be just while they recuperate from being desexed, or time to get some of the abuse victims back to physical health and get them to learn to trust again. All dogs who come into GSD Rescue are vet checked, vaccinated and neutered before placement. There is a lot of travelling to check out potential homes and to transport the dog to that new home. All this costs money, which means some dogs cannot be saved due to lack of funds. Thanks to Hill’s Pet Nutrition all GSDs in foster care are fed a premium food. By feeding Hill’s Science Diet we can ensure that dogs awaiting adoption have the nutrition they need to be healthy, happy and ready to start their new life with you. If you can help us in a financial way or donate some of your time then please take a look at our Make a Donation area. We would also like to extend our sincerest gratitude to Our Sponsors, who help make the Rescue Trust a possibility every day. Due to the popularity of our calendars we are now taking pre-orders for next years GSD Rescue Calendar. Last year we sold out, so don’t miss out this year and submit your details for your calendar. This site also provides helpful Bonding information to enable you and your German Shepherd to develop a strong, healthy friendship plus some useful tips and advice for Lost & Found pets. Please do not hesitate to read our FAQs or Contact us if you have any questions, or email us directly at info@gsdrescue.org.nz and to find out what is happening at our Rescue right now simply visit our Facebook Page. We are strong supporters of networking and encourage like-minded Websites to exchange Links with us. If you believe your Website meets our criteria then Submit your site for review. Am I “Ticklish” … or not? This is a question for all the humans reading this – and please, stop for a minute and think about this before you answer. What colour is your hair? Red, Black, Blonde, Brown, Chestnut – or a mixture of what the lovely hair salon team give you? It is very true that some people shy away from taking on the burden of an older dog when they make that life changing decision to welcome a German Shepherd (or any other) dog into their home and heart. Have you got a dog that has itchy skin? Tried everything and nothing seems to work? Been to the vet and tried medicated shampoo – and STILL they get itchy? It’s interesting to find out how people first became aware of the German Shepherd breed, or what it what is was that sparked their introduction. How old is your daughter and where are you located.